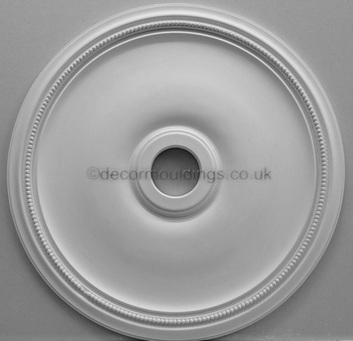 Coving Shop has a unique ceiling roses collection available to buy from stock. 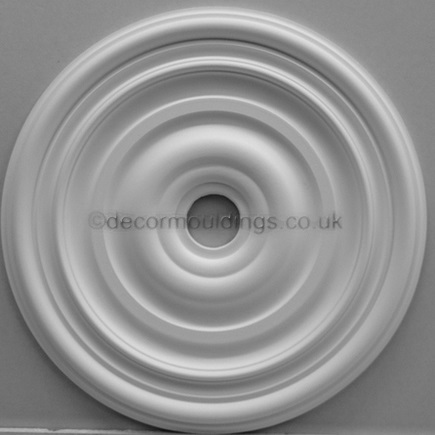 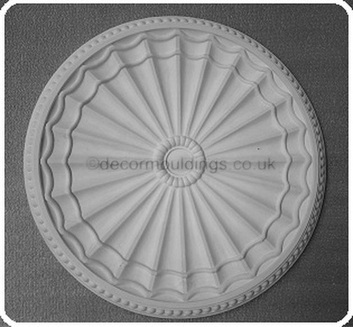 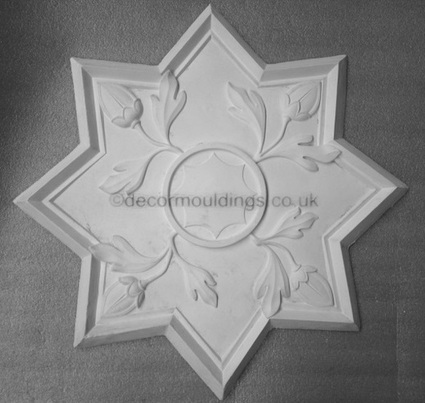 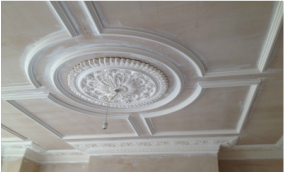 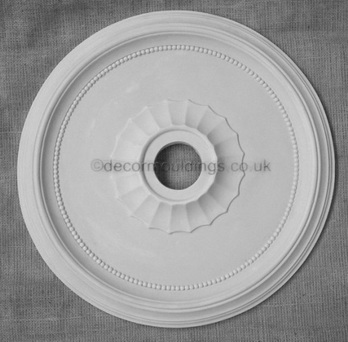 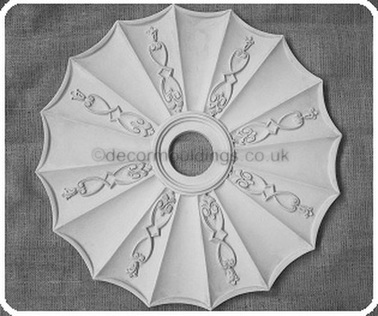 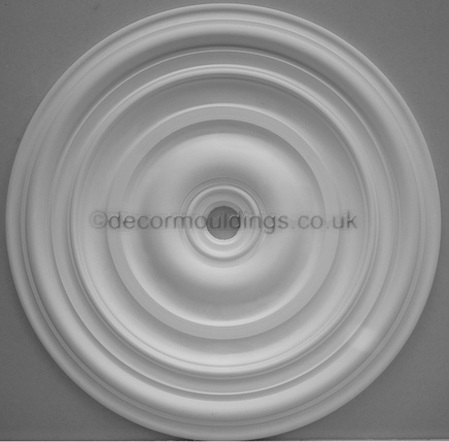 Britain’s finest manufacturer and plaster ceiling rose suppliers in London UK. 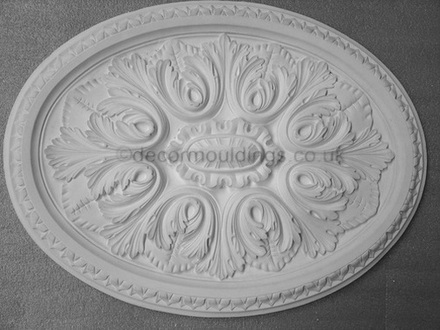 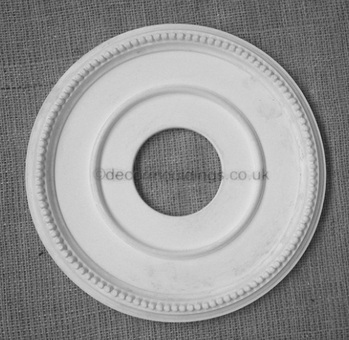 Ceiling rose or ceiling centre ring may be used to frame a light fixture, or when filled with a rosette to centre the room. 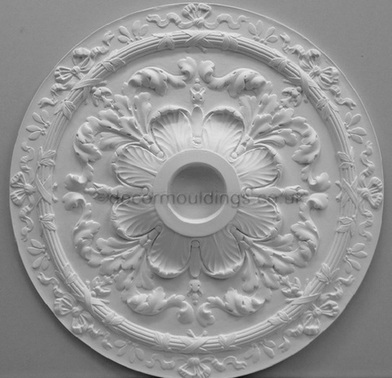 Victorian ceiling rose are decorative only, and not designed to support the light fixture. 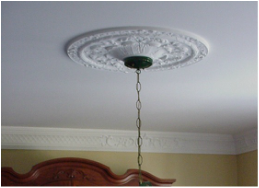 To support a heavy light fixture from the ceiling install a metal plate first. 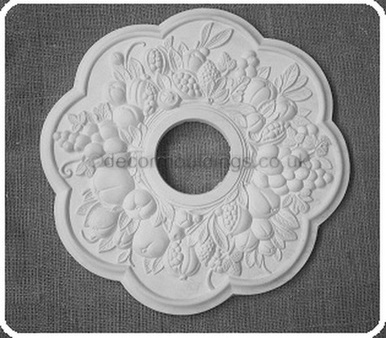 To choose a ceiling rose centre, the room size and coving pattern, ceiling height and size of light fixture are all factors to be considered in making your choice. 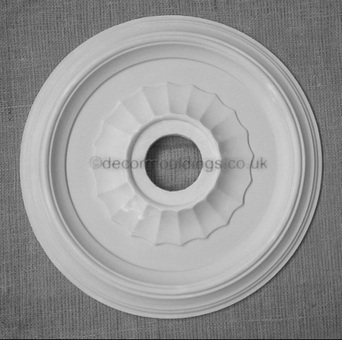 A plaster ring can be used as a standalone ceiling centre or can be added to the outside of a smaller ceiling rose to enlarge any ceiling roses diameter.